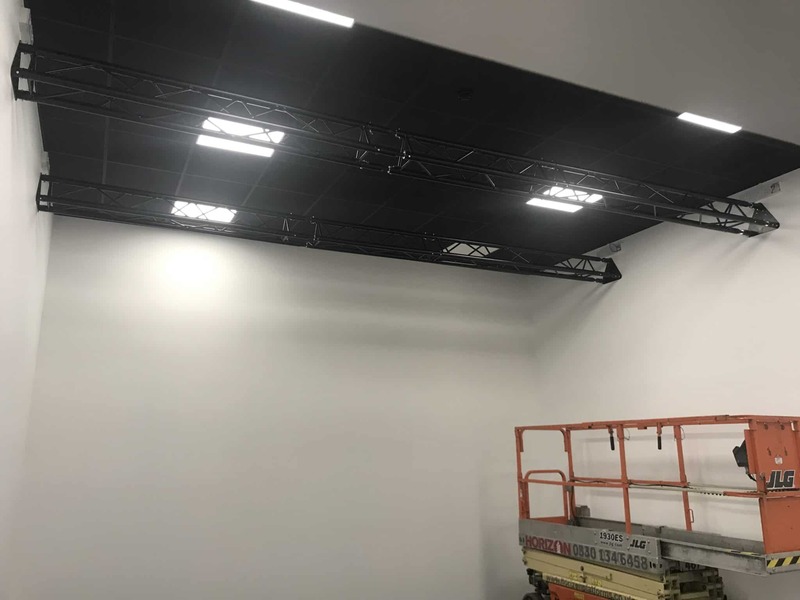 Storage Concepts have recently installed a studio for a client, with jumbo stud partition walls and a suspended ceiling at 4m high. Incorporating black suspended ceiling tiles and grid, also lighting support trusses. Storage Concepts specialise in everything from office lockers to industrial shelving to goods lifts to folding office partitions and mezzanine flooring of all kinds and as a leading UK suspended ceiling supplier there are few more experienced teams in the UK.